From the New York Times bestselling author of The Accidental Billionaires and Bringing Down the House—the sources for the films The Social Network and 21— comes the larger-than-life true tale of a group of American college buddies who brilliantly built a billion-dollar online poker colossus based out of the hedonistic paradise of Costa Rica. Meanwhile, the gray area of U.S. and international law in which the company operated was becoming a lot more risky, and soon the U.S. Department of Justice had placed a bull's-eye on Absolute Poker. Should they fold—or double down and ride their hot hand? 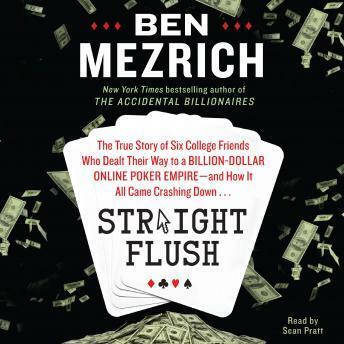 Impossible to put down, Straight Flush is an exclusive, never-before-seen look behind the headlines of one of the wildest business stories of the past decade.